Person is fully functional without any impairment, judgment, communication or daily activity. Person experiences some memory lapses that are undetectable by friends or family. Medical Exam would not reveal any problems. 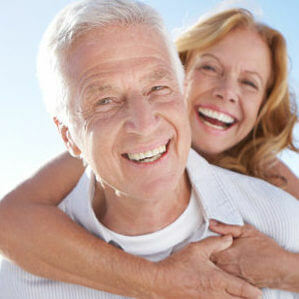 Family members and friends begin to notice mild changes in memory, behaviour and communication. Common Symptoms include: problems with people’s names or the right words for objects, difficulty functioning at work or social environments, forgetting material that has been recently read, misplacing objects often, and decrease in planning and organizational skills. Cognitive decline becomes more evident. Person forgets recent events or personal details, impaired mathematical ability (difficulty counting backwards from 100 by 9s), and diminished ability to accomplish difficult tasks (hosting an event, managing finances), moodiness or social withdrawal. Assistance with daily tasks is required, though still capable of eating, using the bathroom, and remembering their name and the names of key family members. Common Symptoms include: inability to recall personal contact information or history, disorientation to time/place, and a decreased judgment/skills concerning personal care. A person in this stage will begin to experience characteristic and behavioural changes and can be very difficult for the caregiver. Memory continues to decline and assistance is required for most daily activities. Common Symptoms include: reduced awareness of surroundings and recent events, difficulty recognizing spouse and other close family members (faces are still familiar), Sundowning (increased agitation in late afternoon/evening), trouble using bathroom independently, bowel and bladder incontinence, suspicion, verbal or nonverbal repetitive behaviour, and wandering. A person is no longer able to respond to the surrounding environment. Communication is limited to anything beyond short phrases. Basic functions begin to shut down, as in motor skills and the ability to swallow. Total care is required at all times.